As a finish carpenter, you have an important task to make sure all of the finishing touches of a structure provide both solidity and beauty. 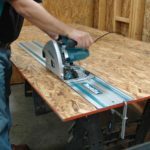 It is your job to install the last of the remaining carpentry, whether that is something as simple as baseboard and molding or something more elaborate, such as stairs, cabinetry, and hardwood flooring. 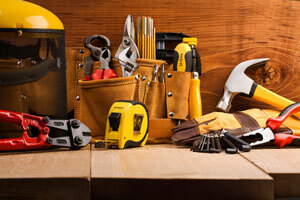 If you are a general carpenter, you can read about the best tool belt for you by clicking here. Of course, even the simplest of jobs can prove rather tedious since you must ensure a craftsmanship and quality that will please the owners of the structure. 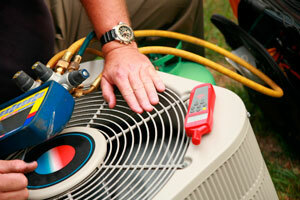 Your job also entails getting a job done as quickly and efficiently as possible to maximize your profits. Unfortunately, if you have to spend the majority of your time fishing around for tools, it can eat away at your profitability. A tool belt can help you prioritize your tasks since you can organize your tools and keep them within arm’s reach. That’s why it’s so important to find the best finish carpenter tool belt. 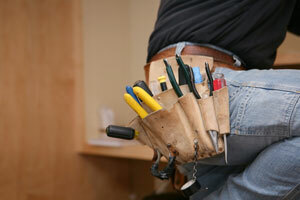 Choosing the best finish carpenter tool belt can seem like a daunting task. 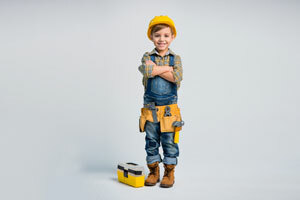 Knowing what type of tool belt you need can help you make the best decision. You need something that will organize your nail sets, hold your hammer, and leave plenty of room for a broad range of other useful tools and equipment. 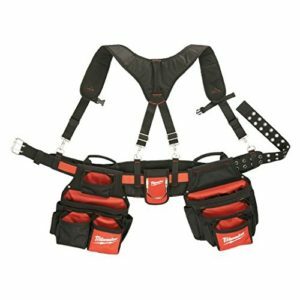 The review guide below provides a list of the three best tool belt for your profession. 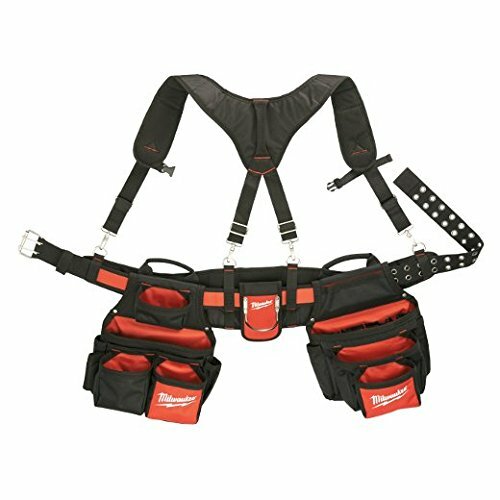 Waist: 27" to 54" Waist: 29" to 46" Waist: 29" to 46"
The Milwaukee Contractor Work Belt with Suspension Rig provides you with everything you could want and need out of a high-quality work belt. 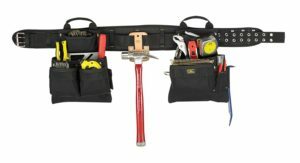 The design of this tool belt is geared specifically toward contractors, which is why it works so well for finish carpenters. 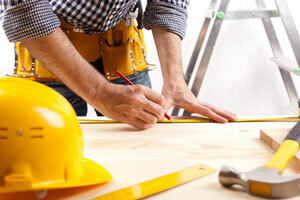 Contractors perform a wide range of services, including trim carpentry. Therefore, this tool belt can accommodate any profession, including yours. With such large capacity pockets, you have plenty of room for all of your essential tools plus any additional items you might need. Furthermore, the fact that this tool belt boasts 24 pockets total means you can organize your tools so they are easier to find when you reach for them. It is not hard to see why this tool belt has a 4 out of a 5-star rating. To get a better idea of the quality and benefits of this tool belt, it is best to check out customer reviews. One customer said, “I really like these bags because they are very lightweight and padded. Also, they come with a very nice padded suspension rig so that the weight of your tools is more evenly distributed. Also, I like that they are warranty for life. 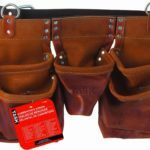 I would recommend these bags.” Milwaukee may be the maker of the best finish carpenter tool belt here. The only complaints seem to revolve around the size of the belt. There were some that felt the belt was more for larger, shorter people rather than someone tall and slim. Otherwise, the features and benefits of this tool belt seem to please the majority of purchasers. Keep your tools, hammer, screw driver, sandpaper, and whatever else you need to provide those finishing carpentry touches altogether with the DEWALT Professional Carpenter’s Pro-Combo Apron. 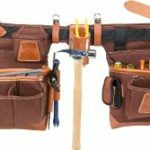 You will have no problems keeping all of your tools and nails organized with this tool belt. It boasts plenty of pockets and yet it is not overly bulky. Some customers felt the bags on the belt were a bit too small for their liking and others felt there were issues with the belt, namely regarding size and quality. However, most purchasers agree that this tool belt is one of the best investments they have made thus far. The Custom Leathercraft Carpenter’s Combo Tool Belt puts the competition to shame with all of its great features and options. You can customize your tool belt to suit your needs. For instance, you can purchase the belt in a standard or larger size. You can also choose between a 17-pocket, 18-pocket, or 20-pocket setup. 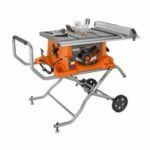 With so many different options, you are sure to have plenty of space for all of the tools you need to provide a nice finishing touch on your carpentry work. 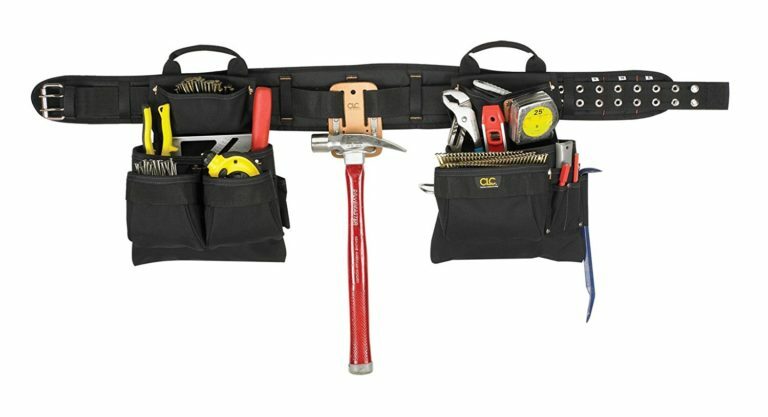 Keep all of your tools organized and within easy reach with this incredible tool belt. Pouches provide plenty of room for your nail sets, hammer, tape measure, pliers, and more. With a 4.1 out of a 5-star rating and a decent price tag, you almost can’t go wrong with this tool belt. A handful of critics complained about sizing issues with the belt, the type of material used for the pouches, and problems with wear and tear. Other than that, it would seem that the majority of purchasers feel that this tool belt is well worth the money given its quality and versatility. Each of the tool belts mentioned above will work well as the best finish carpenter tool belt, or any carpenter to be honest. All three belts have their own list of pros and cons so you will need to weigh your options and the price of each one carefully to determine which one will work best for you. Either way, you are sure to get your money’s worth out of any of them.